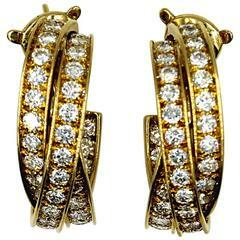 A beautiful pair of vintage 1986 Cartier Hoop Earrings in 18k yellow gold & steel. 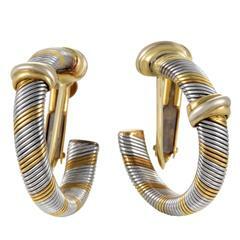 In incredible condition, these earrings would make a very stylish addition to any collection Stamped Cartier 754296 or 750. 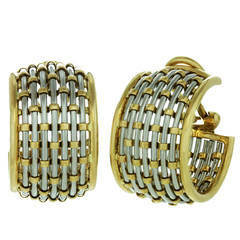 Diameter 20mm; weight 10.3 grams.